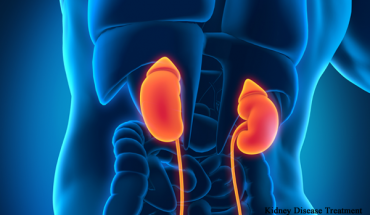 Did you know that you can live a pretty normal life with only 20% of your kidney function? That is why a steady decline and gradual damage to your kidneys can often go unnoticed for a long time. Sometimes, even common habits can cause damage to your kidneys and when the problems are finally discovered, it can be too late. Our kidneys are an amazing organ. They produce hormones, filter blood, absorb minerals, produce urine and maintain a healthy acid-alkaline balance. There is no life without the kidneys, and the Chinese view them as the seat of essential life energy. 1. The Sugary Soda Habit – A study carried out on employees at Osaka University in Japan suggested that drinking two or more soda drinks a day (diet or regular) may be connected with a higher risk of kidney disease. 12,000 employees were included in the study, and those that consumed larger amounts of soda were more likely to have protein in their urine. Protein in urine (proteinuria) is an early sign of kidney damage, but, when discovered at that stage, the disease can still be reversible. 2. Smoking – Smoking has been linked to arthrosclerosis. The narrowing and hardening of blood vessels affects the blood supply to all vital organs, including the kidneys. According to the study published in Clinical Pharmacology and Therapeutics, two cigarettes a day are enough to double the number of endothelial cells present in your blood. This is a signal of arterial damage. Clinical Journal of the American Society of Nephrology cites many different studies conducted since 2003 which all link smoking to decreased kidney function. 3. Vitamin B6 deficiency – A healthy diet is important for good kidney function. According to the studies performed at the University of Maryland Medical Center, vitamin B6 deficiency increases your risk of kidney stones. For optimal kidney function, you should consume at least 1.3 milligrams of vitamin B6 daily. The richest sources of this vitamin include fish, chickpeas, beef liver, potatoes and starchy vegetables, and non-citrus fruits. 4. Lack of exercise – Exercise is another good way to protect your kidneys. A large study published in 2013 in the Journal of the American Society of Nephrology suggested that postmenopausal women who exercised had 31% lower risk of developing kidney stones. Generally speaking, maintaining a healthy weight will reduce your chances of kidney stones, so get moving. 5. Magnesium deficiency – If you don’t get enough magnesium, calcium can’t get properly absorbed and assimilated, which can result in calcium overload and kidney stone formation. To prevent that, consume green leafy vegetables, beans, seeds and nuts. The mighty avocado is a good source of magnesium as well. 6. Frequent sleep disruption – We all like a good night’s sleep. And so do our kidneys. Science Daily reports that chronic sleep disruption can cause kidney disease. According to Dr. Michael Sole, Cardiologist and founding director of the Peter Munk Cardiac Center and Professor of Medicine and Physiology at the University of Toronto, kidney tissue gets renewed during the night, so sleep interruptions can cause direct damage to this organ. 7. Not drinking enough water – Our kidneys need to get properly hydrated to perform their functions. If we don’t drink enough, the toxins can start accumulating in the blood, as there isn’t enough fluid to drain them through the kidneys. The National Kidney Foundation suggests drinking at least 12 glasses of water per day. An easy way to see if you’re drinking enough is to check the color of your urine. 8. Not emptying your bladder early – When nature calls, you should listen. Retaining urine in your bladder is a bad idea. If done on regular basis, it can increase the urine pressure in your kidneys and lead to renal failure or incontinence. 9. Consuming too much sodium – Salt is important for the body, but you should limit your intake. Over consumption can raise your blood pressure and put too much strain on the kidneys. No more than 5.8 grams of salt should be eaten daily, so take it easy with that salt shaker. 10. Consuming too much caffeine – We often consume more caffeine than we think we do. It features in many soft drinks and sodas, and before you know it, your blood pressure goes through the roof and your kidneys start complaining. 11. Pain-killer abuse – Way too often we take medications too fast, in too big doses and not in the right way. When pain occurs, it’s so easy to just swallow the pill. But, you should think twice. All pharmaceutical drugs come with side effects, and many cause damage to the kidneys. Having said that, there are some drugs that you should be taking. See the next point. 12. Missing your drugs – High blood pressure and type 2 diabetes are two very common conditions that are often brought on by our life style and unhealthy diet. If you already have them, be aware of the damage they can cause to your kidneys and protect your precious organs by taking the prescribed medications. READ ALSO : After Watching this Video, You Will Never Use Cotton Swabs To Clean Your Ears Again! 13. Too much protein – According to Harvard University, too much protein in your diet can harm the kidneys. The by product of protein digestion is ammonia – a toxin your hard-working kidneys need to neutralize. More protein means more effort for the kidneys, which can, over time, lead to decreased function. 14. Not treating common infections quickly and properly – We are all guilty of sometimes ignoring simple colds and flu, and pushing our bodies to the brink of exhaustion. But that can cause kidney damage. Studies have shown that people who are reluctant to rest and heal properly, often end up with kidney disease. 15. Too much alcohol consumption – The toxins found in alcohol not only damage the liver, but also your kidneys. According to Kidney Health Australia and American Kidney Fund, one way to avoid kidney disease is to drink alcohol in moderation.